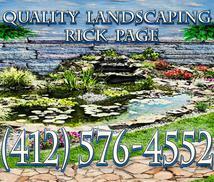 Hello and welcome to Rick Page Quality Landscaping, serving all of your Pittsburgh landscaping needs! With over 35 years of field experience, we here at Rick Page Quality Landscaping pride ourselves on ‘quality work at a quality price’. We’re a family owned and operated, fully licensed company working out of Allegheny County. Our widely praised work includes, but is not limited to: Stonework (Walls, Patios, Walkways and Steps), Waterscape (Artificial Ponds & Waterfalls, French Drains, Water Gardens), and we also provide a plethora of landscape oriented work such as Planting (Trees, Shrubs, Ground Covers), Seed and Sod, Tree Work (Pruning, Planting, Removal, Grubbing, Land Clearing, and Hauling). This and much more is available here at Rick Page Quality Landscaping. For more information on our work, visit our Services page, where we go into detail about the works listed above. Visit our Work Site Images page where you can see multiple examples of every facet of our work, in many different varieties. 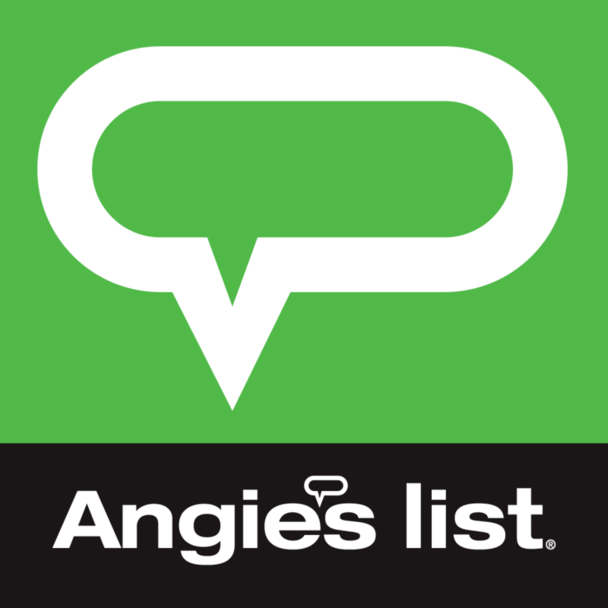 For testimonials via our AngiesList page, please visit our testimonials page. And if you’d like to get to know more about the Company itself, visit the About Us page where you can learn more about this family operated business. For a free estimate or to get in contact with us, feel free to reach out via the Contact page, or simply call us at 412-576-4552 or if you prefer email, PageLandscaping@aol.com. We serve the greater Pittsburgh area, including cities in and around Allegheny County, Westmoreland County, Washington County, Armstrong County, Butler County, Clarion County and Beaver County. COPYRIGHT 2010 RICK PAGE QUALITY LANDSCAPING: PITTSBURGH LANDSCAPING. ALL RIGHTS RESERVED.